The MacDowell Colony, the century-old artist retreat in the wilds of New Hampshire, isn’t the sort of place you’d expect to find Art Spiegelman. The celebrated cartoonist grew up in New York City and thrives on the energy and absurdity of the place. Yet Spiegelman, who won a Pulitzer Prize in 1992 for his remarkable Holocaust tale “Maus,” will be at MacDowell Aug. 12 to receive the Edward MacDowell Medal, an award previously given to the likes of David Lynch, Toni Morrison, Nan Goldin, Philip Roth, and Joan Didion. 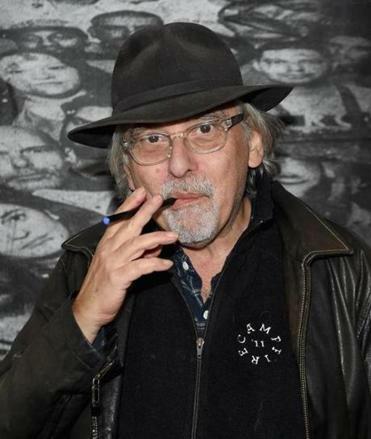 Reached by phone in New York, the 70-year-old Spiegelman said he’s ambivalent about such awards, but acknowledged it’s a cool honor for a guy whose work was greatly influenced by Mad magazine. Q. Congratulations. Have you ever been to MacDowell? You don’t strike me as someone who spends a lot of time in pastoral settings. A. I agree. I don’t strike myself that way either, although certainly in my hippie years I liked being in the forest. And now I don’t need it because we actually have a cabin in Connecticut, and my wife and I go quite often on weekends, and I’ve gotten to really like it. I know nothing about nature. I know what a weeping willow looks like and what a Christmas tree looks like. I’ve found that the secret to country living is a fast Internet connection and a car. Q. One of the reasons creative people enjoy such settings is because there’s space to think and focus. Your work has a lot of motion and conflict and humor. Is it important for you to be in a city? A. In general, yes. My work thrives on very long hours, long hours of making the images as well as figuring out the narrative. But I would say, ultimately, I need to be in a city for the stimulation of it. Unfortunately, New York is now a corpse because of the effect of money. My once-interesting neighborhood in SoHo demonstrates what happens when gentrification turns into mummification. I’d be glad to move to another New York City if I could find it. Q. It’s an estimable crowd that’s received the MacDowell Medal. It must be gratifying to have your work acknowledged this way. A. Well, I’m complicated. I don’t need any more honors to be able to float through my life. I guess if I get another medal it’ll help make my chest bullet-proof if I have to go to war with the vigilantes. But basically, I looked at the list and saw there were a lot of people I would have liked to meet. I wouldn’t mind hanging out with Robert Motherwell, Willem de Kooning, David Lynch, the long parade of notables, but because of where I’m at with my work right now, I feel like a lifetime achievement award is just going to feel depressing instead of energizing. Quite seriously, the reason I took it is I am agreeing to a ribbon-cutting ceremony that will allow the hordes of cartoonists to join “real” artists as people who can take advantage of the MacDowells’ kindness. Q. How do you characterize your work? What is it you do for a living? A. There’s no good word for it. I like being called a cartoonist because I know what it is and that’s what I always wanted to be. But that also has a reverberation of, “This is just a guy who makes jokes.” Graphic novelist doesn’t make me any happier. I have my own private way of dealing with it by calling myself a “C-O-M-I-X” artist. That’s what it was called in the ’60s. It also means co-mix. That one I can live with because I’m co-mixing words and pictures. But I can see why it wouldn’t be a category for a resident at MacDowell. Q. But you are funny, and there’s nothing wrong, especially in our current situation, with humor. A. Yes. But when I was very young, it was interesting to understand the range of interactions a reader can have with comics that aren’t comic at all. Q. Your work has done a lot for the medium. Isn’t it about time comics are taken seriously? A. Absolutely. My goal was always to think of myself as an artist and a cartoonist at the same time. When I wrapped my head around what this award means — this is going to sound snotty — I felt that I deserved it, but I didn’t really want the attention that comes with it. That probably sounds like I’m some kind of highly self-regarding human, but it has to do with opening doors, and I’m genuinely honored to be allowed to be the one opening this door. Comics artists probably have a harder time getting by than, say, poets, who are more likely to have academic positions. Q. As a kid, I was a fan of Wacky Packages, those cards you worked on that parodied US companies and consumer products. I know you want to be taken seriously, but you helped me develop a sense of humor at a very early age. A. I understand 1,000 percent. What changed my own life was discovering Mad comics. It changed my whole world view forever. It was a solace in a miserable time, like the one we’re living through now. Q. I want to ask about “Maus.” I’m 53 and I feel like there’s a whole generation of people for whom “Maus” is as important to understanding the personal toll of the Holocaust as “The Diary of Anne Frank.” Could you have predicted the way it was received? A. When you sit around and work, you daydream, and I imagined the book would come out and it’d be a great success and I’d be on the David Letterman show. (Laughs) But, no, I genuinely believed that it would be self-published — who’d want such a thing? — and I believed the book would be appreciated posthumously, if at all. I was shocked at how fast it was embraced. I mean, it’s an oxymoron: A comic book about the Holocaust. That’s when I found out I was only minutes ahead of my time, not years. Q. And you’ve had to live up to that popularity with every subsequent project. A. It’s been an ongoing problem. I’m grateful for the success, but it also left me hobbled because I do feel terribly guilty living in the shadow of it all. “Maus” was not built in any way on, like, “Hey, the Holocaust is a good subject.” I was just trying to work out something inside myself that was a knot.